This unique Time Teacher watch from TIMEX features labeled and color-differentiated hour and minute hands, dial with "to" and "past" markings. 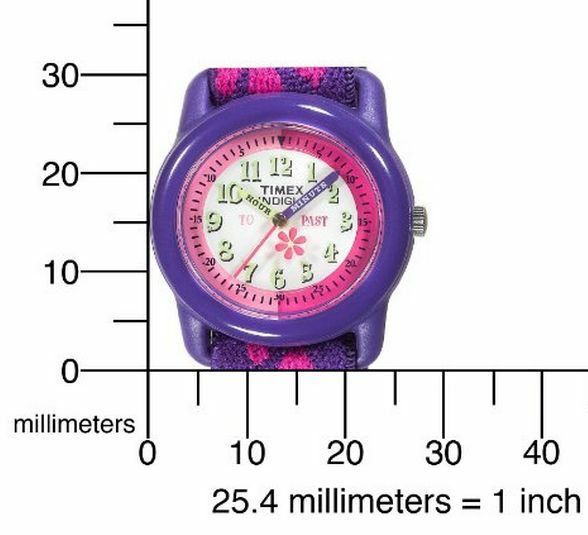 This is a quartz analog watch that features a delightful small flower that rotates around the dial with the hands, durable purple resin case and a comfortable elastic fabric strap with water resistance to 30 meters. Your kids will love you for giving them this unique & authentic LEGO kids watch. 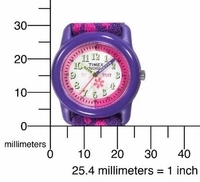 Kids can customize the watch's bracelet with the interchangeable links and change the bezels color. This Soccer theme Lego watch is perfect for that active soccer play kid age 6+ and older. 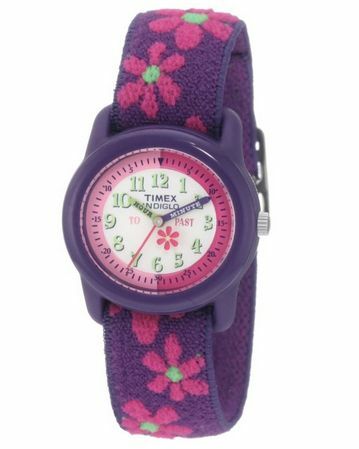 The Timex Kids watch is festures a tough Stainless Steel design with an easy to wear yet secure Fast Wrap secure velcro watch strap. It features analog-quartz movement and stationary bezel around the unique round stainless-steel case. The watch face features a white dial with black numerals, and an Indiglo night light. Your kids will love this sporty TIMEX camouflage kids watch. Its comes with a uniquely convenient stretchable watch band & velcro clasp.